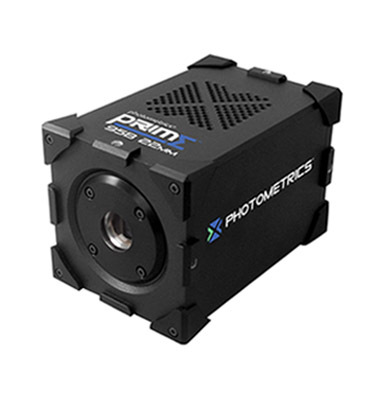 The Photometrics Prime 95B 22mm sCMOS camera delivers a large imaging area and combines this with the near-perfect sensitivity of a Backside Illuminated (BSI) Scientific CMOS sensor. 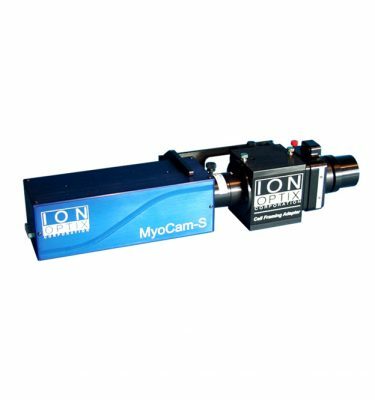 The Prime 95B 22mm sensor converts up to 95% of incident photons into measurable signal, and provides a large 22mm field of view. 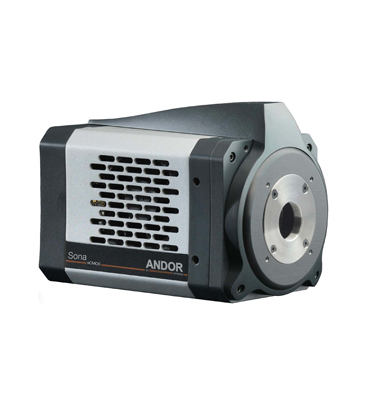 The Prime 95B 22mm is optimally positioned to maximize detection and imaging throughput on larger format microscopes. 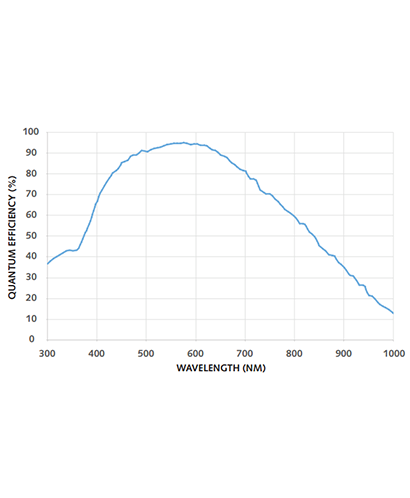 The extreme sensitivity not only allows fainter signals to be detected, it provides the flexibility to increase frame rates, or turn down the excitation intensity to reduce cellular photo-damage. 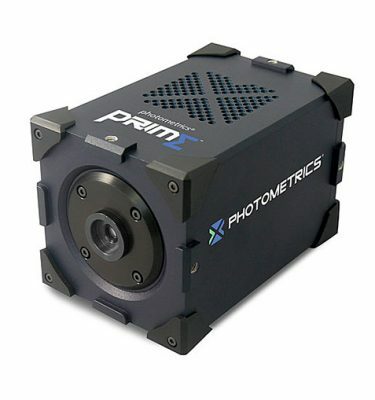 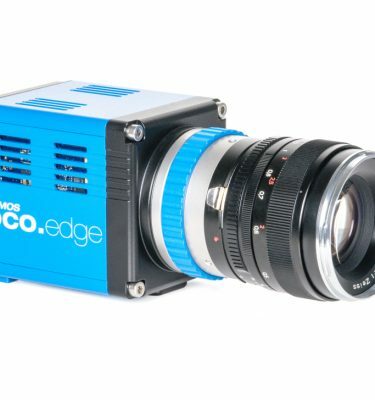 The Prime 95B 22mm improves the field of view and maintains the high frame rates and extremely low read noise that has made sCMOS so popular for live-cell imaging.